← Game of Thrones Star PROVES EVOLUTION FALSE! Darwin did not believe evolution. I know that is hard to hear. In fact, many of you will assume I am being sarcastic, but I think I can make a case. Darwin did not believe that natural selection was the origin of any species. I know he CALLED his book “On Origin of Species by Means of Natural Selection…” but in a later edition he explained in detail that he knew that Natural Selection could never create a new species. He suggested that his title was a metaphor, and not meant to be taken literally. You may think HE was being sarcastic, but I think he was being sincere. 150 years later, they still have not. Darwin knew that complex structures like the human eye could not have evolved in the manner described in his book. To suppose that the eye with all its inimitable contrivances for adjusting the focus to different distances, for admitting different amounts of light, and for the correction of spherical and chromatic aberration, could have been formed by natural selection, seems, I freely confess, absurd in the highest sense (1859, p. 170, emp. added). 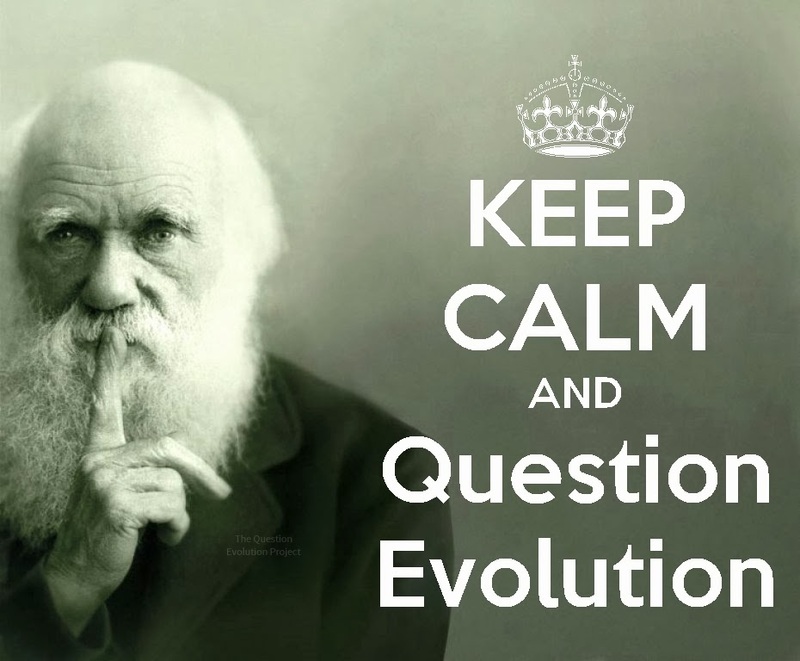 Charles Darwin may not have been a creationist but he did not have enough faith in evolution to be an evolutionist. If you are an evolutionist, you’re the follower of a religion whose founder was an Unbeliever. Your highest prophet, author of your sacred text, was NOT a believer. Just think about that, won’t you? Because if Darwin ever taught the world anything worth learning, I think that may be it. *See Chapter IX, “On the Imperfection of the Geological Record,” On the Origin of Species, fifth edition (1869), pp. 378-381. This entry was posted in atheism, The Creation SoapBox and tagged creation vs evolution, darwin. Bookmark the permalink. Those transitional fossils have now been found. Birds, wales and horses all have obvious roots, interim forms and their ancestors are documented in fossils. The other point about primitive eyes have also been well documented in living as well as the fossil record. On and on it goes. But you will never find the debunking of the transitions on TV or evolutionary minded web sites. That’s not news. But its always out there. Even with all of their assumptions, the history of the fossil record has given Evolution NOTHING. But you have to look behind the media hype to see the real story for most of them, and a lot of web pages don’t do that. And with all due respect, think about this. You say: “The other point about primitive eyes have also been well documented in living as well as the fossil record.” What FOSSILS have eyes? Are you really going to claim that FOSSIL EYES exist and that they somehow prove evolution? I think you know better. And as Michael Behe points out in Darwin’s Black Box, the complexity of the light sensitive cells and all of the chemical and mechanical components is SO GREAT that the cartoon which you choose to use to describe how eyes may have evolved does not matter. Eyes do nothing to help evolution, even if you choose to accept the unprovable just-so-stories proposed by people like Nye and Dawkins. Eyes prove a brilliant designer, and even Darwin knew that. At some level, anyway. I suggest you check out Behe’s book and hear it from someone smarter than me. I don’t get my information from websites, the media or worst of all, Youtube. By the way, trilobites’ eyes fossilise very well. Finally one last thought (but I can’t remember how to spell it) Arciopteryx. 1. Probably wise. But limiting. Why do I make the list of acceptable sources I wonder? 2. Yes, but they were not SOFT eyes as most are. Creatures with exoskeletons have that advantage as far as fossilization of their eyes go. Kind of off topic though, and doesn’t address the point I was making. 3. Archaeopteryx: A fairly normal, chicken sized bird with completely functional flight feathers. The only features which can be pointed to in order to try and weakly claim this is a transitional form are features which modern birds still have, which makes Archaeopteryx… a bird. And as always, thanks for your comments. 2. Most eyes certainly are NOT soft eyes. Most are compound eyes. Yes it is a little odd topic but you may as well get your facts right. Thank you for correcting me on an error I didn’t make which doesn’t relate to the topic.